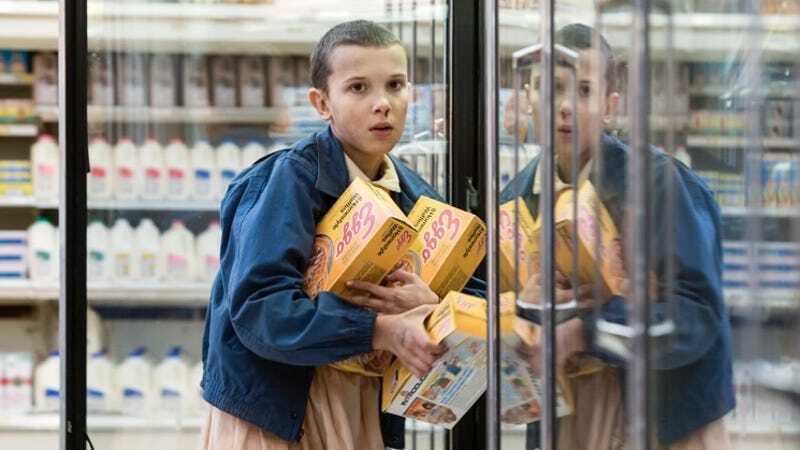 If you haven’t been living under a rock (or at least any place where there is Netflix- and in no way am I condemning your lifestyle) then chances are you have heard of or have seen the Netflix series Stranger Things. If you have not, then let’s go over my 5 Reasons to Watch: Stranger Things. The Characters. Ok, Nerd Truth time, I could/can see myself as these kids- playing D&D, taunting each other with taking comic books (incidentally xmen 134 is the Dark Phoenix issue! ), spending 10 hours on a campaign and just generally having a ton of fun with other nerdy friends doing nerdy things. I can relate because I was one of those kids. BUT, if you weren’t (and are at least in your late 20s) and are currently not a mindless device zombie at the time of reading this chances are you can at least relate to the universal traits these kids so masterfully deliver. I will not spoil it further by going into details but I guarantee that you will love the cast! The Story. Picture parts of Stand By Me and Goonies with a sprinkling of Super 8 with a cast that was just as absolutely brilliant and you get Stranger Things. Mystery, suspense and the grand good struggle vs evil. check. check. check. It has it all! Nostalgia I grew up in the 80s and even though what they show in the series is not a picture perfect representation of my childhood, it sure is a good enough facsimile of everything that I remember from TV representations of the era. it’s like 80’s-ception!! The walkie talkies, the toys and the bikes all fit so snugly in the 80s movie in my head that plays when I think of the good ‘ol days. The only thing missing are chogokins! Come for the Horror, Stay for the Comedy The series is supposed to be scary. You know that coming into it. What you do not expect are these little nuggets of humor that are so well woven into the narrative that you almost forget that just around the corner could be a (#%$@#$%#@$%@#$%@#$#$% ok no spoilers there!). The tragedy and circumstances around the main plot are gut wrenching and yet there was just the right amount of levity to keep you going- to make you feel hope and cheer the heroes along. The dialogue never feels forced and the acting is so well deserving of the countless praise you may have heard it receive. Overall Stranger Things has been one of the best things I have seen in a long time. It is a well crafted piece of fiction that has managed to somehow bring back the innocence of youth with the challenges of growing up – together in such a well told story. With season 2 just around the bend, now is the perfect time to binge this 8 episode masterpiece!